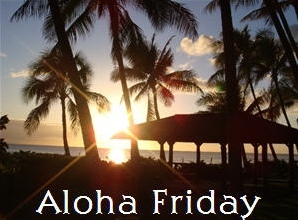 It's Aloha Friday, time to ask you a question. I snapped the picture of the Crawdad this morning at the gas station with my cell phone. 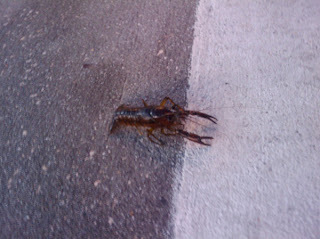 What's the strangest thing you've ever taken a picture of, or wished you had your camera for? I missed getting a picture of a truck with a big skull-like decoration on the front. Really strange and creepy. Oh so many things I even forget! I saw a horse and buggy the other day in the middle of traffic (tourist I figure) but I really wanted a picture of them, except my light turned green! A truck for Venom energy drink. It was very scary advertising. I don't think I would ever be a customer. I can't really think of anything strange but I did have Diana Lane on a flight once and wished I had my camera! What does My Purse say about Me?